Dexway Authoring Tool is an advanced editing tool which allows you to personalize the teaching content of Dexway language courses to adapt it to your area of interest or specific needs.� Dexway Authoring Tool is the only solution for online/blended language courses on the cloud that allows this 100% personalization for satisfying your training needs. It is an e-learning content creation tool for languages, with which to personalize and publish your Dexway online language courses with a single click, without technical knowledge. All Dexway language courses allow the environment to be adapted with your logos and corporate colors; however, this personalization is general. With the Dexway Authoring Tool you will be able to go far beyond the environment, allowing much more extensive modifications which affect not only the outer appearance of the courses, but also their content. With Dexway Authoring Tool, if you wish, you can create content for online courses from specific materials using the extensive Dexway content database, with tested materials which guarantee natural, progressive and effective teaching, and which have been structured following the CEFR. In this way, this online tool allows you to personalize the content of Dexway courses, adapting it, if you wish, to the context of your students. You can change the photographs that accompany lessons, add new units and remove others, modify examples, and add your own text, video or audio content, etc. Ultimately, you can adapt all aspects of the Dexway language courses to the needs of your training center, as well as to the needs of your students. Dexway Authoring Tool for Dexway languages is an intuitive and easy to use tool. HOW DOES DEXWAY AUTHORING TOOL WORK? Change the order of units, remove or add lessons or modify examples. Reuse the Dexway image bank or add your own files. Tools for configuring your online course to meet your needs. Intuitive environment. Changes to an exercise are checked with the press of a button. Focus on the parts of the syllabus that your students need most. Adapt the examples or content of exercises to adapt them to your personalized area of interest. 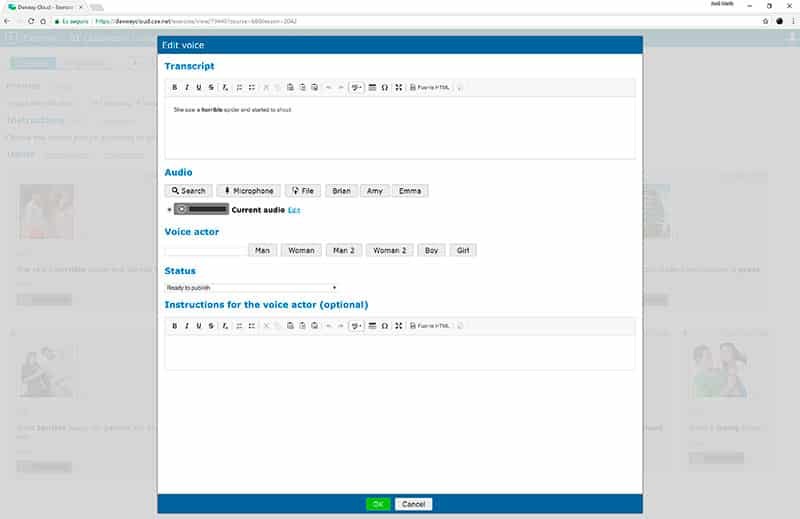 Generate your own audio from the editing tool. 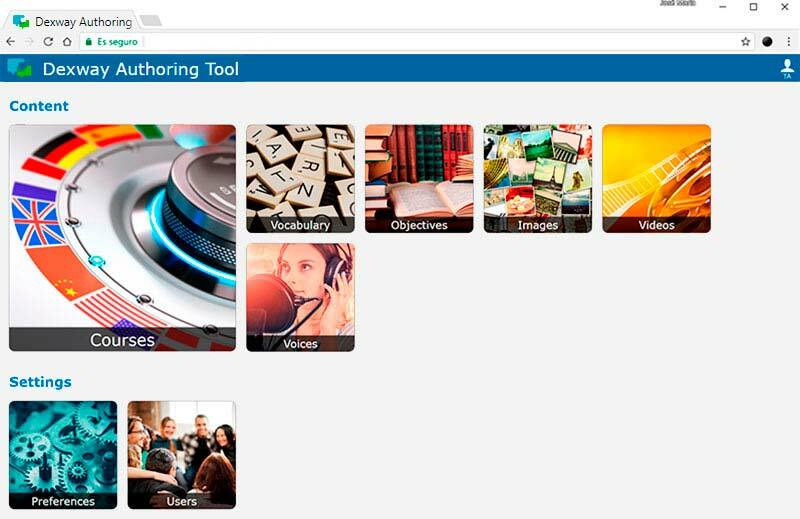 With the authoring tool, give a personal touch to Dexway courses, the English teaching method that really works.